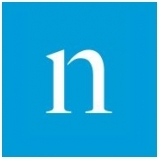 Nielsen Holdings N.V. (NYSE: NLSN) is a global information and measurement company with leading market positions in marketing and consumer information, television and other media measurement, online intelligence and mobile measurement. Nielsen has a presence in approximately 100 countries, with headquarters in New York, USA and Diemen, the Netherlands. As at 2014, Nielsen employs over 40,000 associates worldwide with revenues surpassing US$ 6 billion.